This series plays out in six short novellas that comprise the entire book. 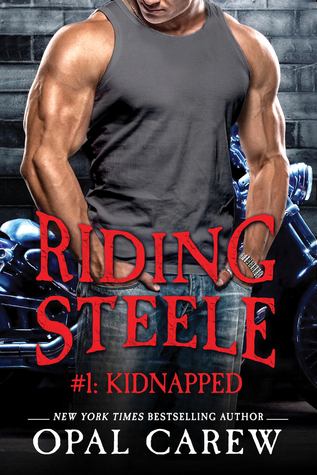 In part one we meet the main characters, Laurie and Steele, as well as the rest of the motorcycle gang. Laurie is in a abusive relationship with her boyfriend Donovan, her brother has always disliked the guy and while drunk he ask's his friends to kidnap her. Now the story begins, the book ends in a cliff hanger that will have you running to the next book in a heartbeat. The story is engaging and entertaining and the characters are seem so badass; if you're looking for your next read, well look no further, these books really deliver for their genre.